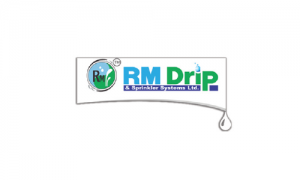 RM Drip & Sprinklers is engaged in manufacture and sale of Micro Irrigation System (MIS) consisting of Drip Irrigation System and Sprinkler Irrigation System, its components, irrigation accessories and allied products. Our business model can be categorized broadly into two categories – project markets and open market sales. Our Product Range includes wide variety of products HDPE Pipes, Pipes Fittings and Irrigation Equipments including Drip Irrigation Systems, Sprinkler Irrigation Systems, Disc Filters, Screen Filters, Hydro-Cyclone Filters, Sand (Gravel) Filters, Compression Fittings, Valves (Electric & Mechanical), Fertilizer Tanks, etc. As part of project market sales we undertake supply, installation and provision of agronomical services to farmers. Our manufacturing unit is located at Gat No 475, Gonde Taluka, Sinnar, Nasik- 422113 admeasuring around 10100 sq. mts. is well equipped with requisite plant and machineries and other facilities. The installed capacity of our plant is 1,98,000 metres, for Cylindrical Drip is 25,20,000 and for Flat In Line is 47,66,667 meters and respective per month. RM Drip & Sprinklers IPO allotment status is now available on Bigshare Services' website. Click on this link to get allotment status.